INCLUDES THE FIRST CHAPTER FROM VINCE FLYNN AND KYLE MILLS’ LATEST THRILLER, ENEMY OF THE STATE! 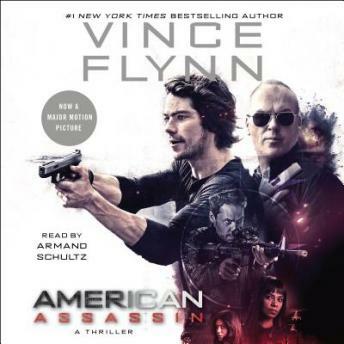 New York Times bestselling author Vince Flynn returns with his most exhilarating political thriller to date, a pulse-pounding tale of espionage that introduces fans to the young Mitch Rapp as he takes on his first, explosive assignment. Before he was considered a CIA super-agent, before he was thought of as a terrorist’s worst nightmare, and before he was both loathed and admired by the politicians on Capitol Hill, Mitch Rapp was a star college athlete with an untapped instinct for violence. Tensions in the Middle East are simmering when CIA Director Irene Kennedy pays a visit to Syracuse University, where she hopes to recruit none other than Mitch Rapp, a student who has quickly climbed up the academic and athletic ranks. Tragedy entered Mitch’s life a year before, when thirty-five of his classmates, including his girlfriend, perished in Pan Am flight 103. Since then, Mitch has grieved for their senseless deaths and has felt helpless in his desire for revenge. When Kennedy arrives on campus, his career path is suddenly laid out for him. Nine months later, after grueling training, Mitch finds himself in Istanbul on his first assignment, which is to assassinate the Turkish arms dealer who sold the explosives used in the Pan Am attack. Mitch hits his target, but quickly sees, for the first time, what revenge means to the enemy. When Mitch’s mentor and a fellow recruit are kidnapped and tortured by a dangerous group of Islamic jihadists, he must stop at nothing to save them. I read a few other Mitch Rapp books but didn't know how or why he began doing was he does. Glad to be able to fill in the background. I enjoyed this book and look forward to reading other Mitch Rapp novels. Another superb edition and an analog of how it all began for mitch rapp. The narrator is one of the most revered and award winning authors EVER. was a good book had some slow parts but all in all I really enjoyed the book and can't wait to continue the series! Really good story. Well written and very well narrated. I loved it! The best book I have listened to in a while! What a fantastic book, really catches your attention and draws you in! Great book-- I am reading the series now! Really enjoyed listening to the book, the narration was awesome. Narration is superb with a fast paced story. I am planning on listening to more books in this series.